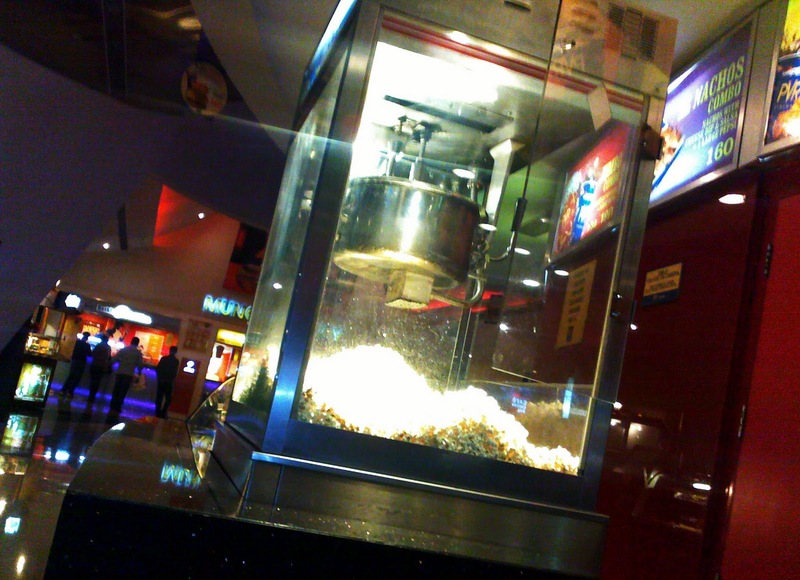 This is an image of a commercial popcorn vending machine inside a multiplex cinema theatre in Mumbai, India. Cameras are not allowed in multiplexes, and this photograph was shot on a cell phone. The picture came out better than I expected. It has a sort of ghostly look to it. The pile of popcorn is glowing, as if something wierd is cooking, not just popcorn!